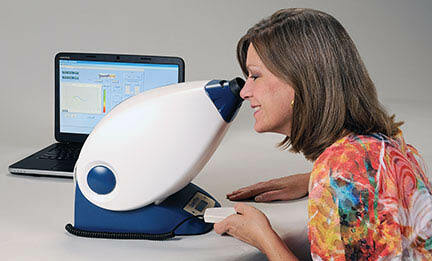 Dr. LaBrosse is excited to introduce an important new technology to her practice at Eye Spy: Quantifeye! This device directly measures the integrity of your macular pigment. 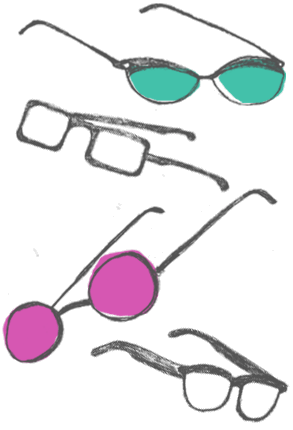 Macular pigment is in the back of your eye, acting like “internal sunglasses” to protect and enhance your central vision. Do you have trouble night driving or problems with glare? Family history of Age-Related Macular Degeneration (AMD)? If your answer is yes, or you are just curious about whether your visual performance can be improved, you need this test! Macular pigment is the only modifiable risk factor for AMD. We are having a FREE screening event on Saturday, October 25th. Dr. LaBrosse will be present to discuss the test and answer any of your questions about your eye health. We will also have plenty of dark chocolate and Pinot Noir on-hand, since both contain ingredients that are beneficial to eye health. Join us! !